Hi Meredith, sounds like you had a wonderful 40th birthday trip! And Ireland is such a really special destination indeed. Like you, I enjoyed the hospitality of its people. I love its quaint towns and the countryside. I was there during fall season. I loved that while the trees had the beautiful fall colors the grass remained so so green. I’m headed to Ireland for the second time in just a few short weeks. We’re headed to the west coast. I can’t wait, with camera in hand!! Hope you make it back some day!! Love Ireland! I studied abroad there one summer and lived in Dublin. We took a few trips around Ireland on the weekends too. Amazing place! You’re taking a trip to Scotland?! Woo! You’ll love it here! Let me know if you want any tips. Yes! I’m headed to Scotland for a couple weeks next month and can’t wait! I’ve been to the Highlands a couple of times, but we’re sticking to the southern areas this trip. Thanks for the offer – I’d love to take you up on that for any recommendations in/around Edinburgh! awesome photos! I have been wanting to see Ireland for a few years now. Trinity College (and that beautiful library!) are totally on my bucket list! 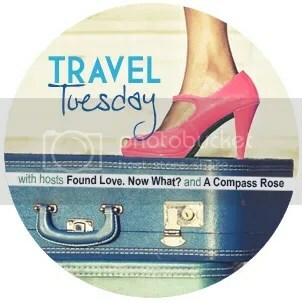 It was great to find you through Travel Tuesday!